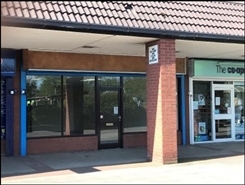 The subject premises is situated in a prime trading location with the Three Spires Shopping Centre adjoining WH Smith. 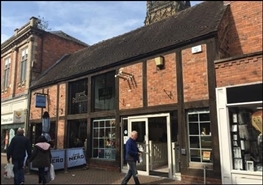 Three Spires is the prime trading location in Lichfield Town Centre. The unit is adjacent Vodafone with other high profile retailers in the near vicinity. The subject unit occupies a prime position within the central portion of Three Spires Shopping Centre. 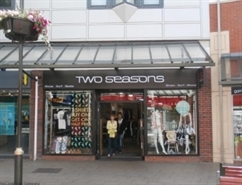 The unit comprises a ground floor retail unit with first floor ancillary. 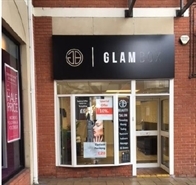 The subject property occupies a prominent position within the Three Spires Shopping Centre, comprising a ground floor retail unit with first floor ancillary accommodation. 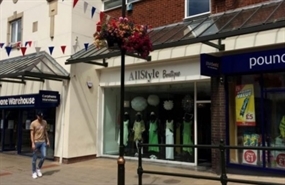 The available space comprises ground floor retail accommodation with first floor ancillary space. A new FRI lease is available for a term of 15 years at £47,500 pa. The available space comprises a ground floor sales area of 616 sq ft with first floor ancillary of 507 sq ft. 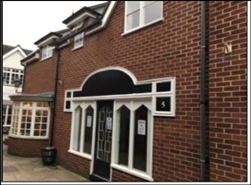 The premises are offered by way of a new 10 year effectively fully repairing and insuring lease subject to five yearly upward only rent reviews. The property will be available by way of a new lease on Full Repairing and Insuring terms subject to 5 yearly rent reviews. 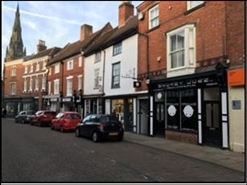 Double fronted Retail Property Planning Consent for A1 (Retail) or A2 (Financial) Located on the busy pedestrianized pitch of Market Street. The available space comprises 510 sq ft (47 sq m) of ground floor retail accommodation and 325 sq ft (30.2 sq m) of first floor ancillary. The property is available on new 15-year FRI lease. Rent - £40,000 pa. 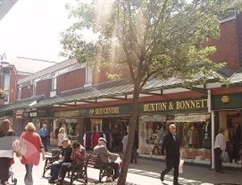 The subject unit occupies a prominent position within the Three Spires Shopping Centre on Bakers Lane. 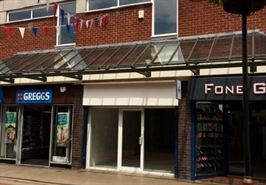 The premises comprise a ground floor lock up retail unit with rear loading facilities. 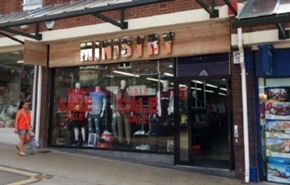 The property comprises a self-contained ground floor retail and extends to provide retail area over stepped level leading onto store room, kitchen and WC to the rear. 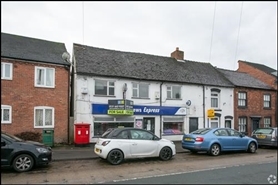 85.25 sq m The property would be suitable for A5 uses subject the necessary planning consent being obtained. 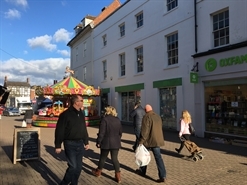 The available space comprises retail accommodation. The space is available ona new lease with terms to be agreed. 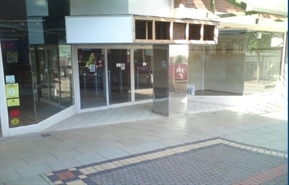 Retail property available to let (may sell). 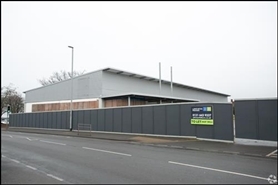 The available space comprises 924 sq ft of retail accommodation. There is also external storage space measuring 205 sq ft. The freehold interest is available to purchase at offers over £350,000.